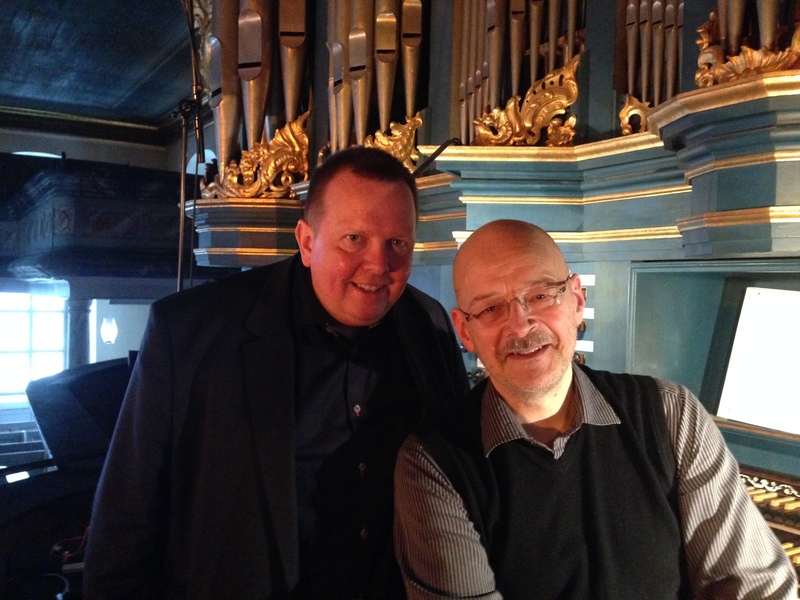 This concert piece for large organ and orchestra is written for and dedicated to Carl Adam Landström, and it will be played by him in Malmö Sankt Petri Church on 27 April 2019, together with Malmö Symphony Orchestra, conducted by Marc Soustrot. The full title of the piece is Le fontane di Villa d’Este, Variazioni su antiche danze per organo grande e orchestra. This concerto for string trio (violin, viola, and violoncello) and orchestra is inspired by paintings of the Italian artist Roberto Ferri. The music is written for Trio ZPR (Cecilia Zilliacus, violin, Johanna Persson, viola, and Kati Raitinen, cello) and it’s a joint commission from The Orchestra of Norrlandsoperan and Gothenburg Symphony Orchestra. First performance in Umeå, 9 May 2019. Commissioned by Stefan Parkman and Uppsala Universitets Körcentrum (The Choir Centre of Uppsala University) for the quincentenary of Martin Luther’s Ninety-five Thesis, 31 October 1517, the start of the reformation. 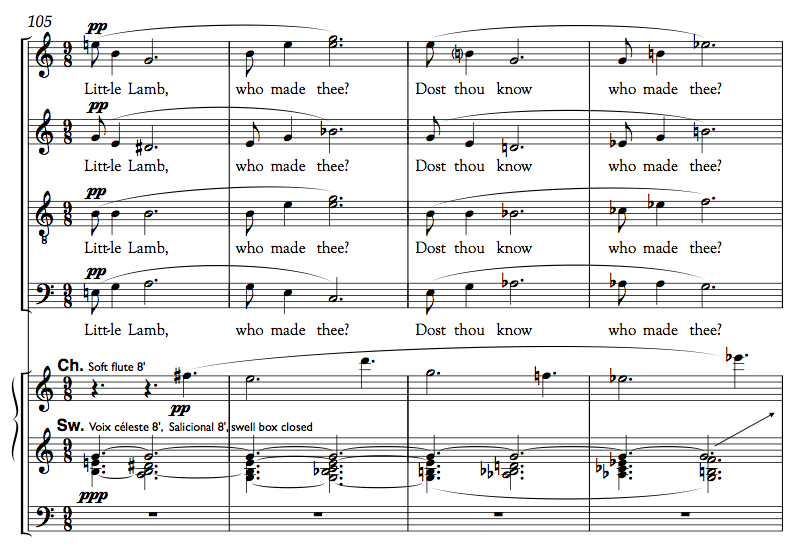 These chorale variations make use of the texts and melodies of Martin Luther, putting them in an entirely new musical context with a dramatic and narrative approach to the words. The four movements can be performed either as a suite or individually. Total duration: c. 20 minutes. The first performance took place in Uppsala Domkyrka (Uppsala Cathedral, Uppsala, Sweden), 29 October 2017. Uppsala Akademiska Kammarkör, Västerås Domkyrkas Motettkör, Olle Persson (baritone), Johan Hansson Lindström (organ), Stefan Parkman (conductor). The Importance of Being Earnest was a huge success! A new chamber opera by B Tommy Andersson, based on Oscar Wilde’s play The Importance of Being Earnest. Libretto (in English) by William Relton. The opera was produced by Vadstena-Akademien (Vadstena International Opera Academy) in the Summer of 2017, in Bröllopssalen at Vadstena Castle. This took place in Louis de Geer Concert Hall in Norrköping. 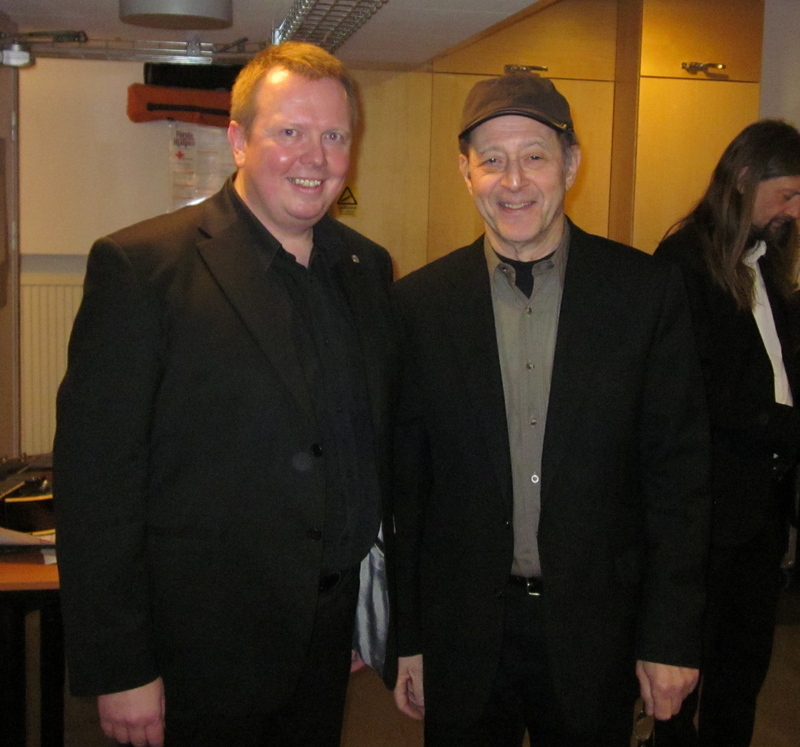 Paul Waltman played the solo part, Norrköping Symphony Orchestra was conducted by B Tommy Andersson. The programme started with Ottorino Respighi’s Fontane di Roma, followed by B Tommy Andersson’s Violin Concerto, Homage to Michelangelo, and after the interval Erich Wolfgang Korngold’s Symphony in F sharp. Stockholm Concert Hall. The Royal Stockholm Philharmonic Orchestra performed B Tommy Andersson’s tone poem Pan, conducted by Thomas Søndergård. The rest of the programme consiststed of music of Richard Strauss. The soprano Iréne Theorin sang the final scene from Salome, and „Allein! Weh! ganz allein!” from Elektra. After the interval the tone poem Also sprach Zarathustra. 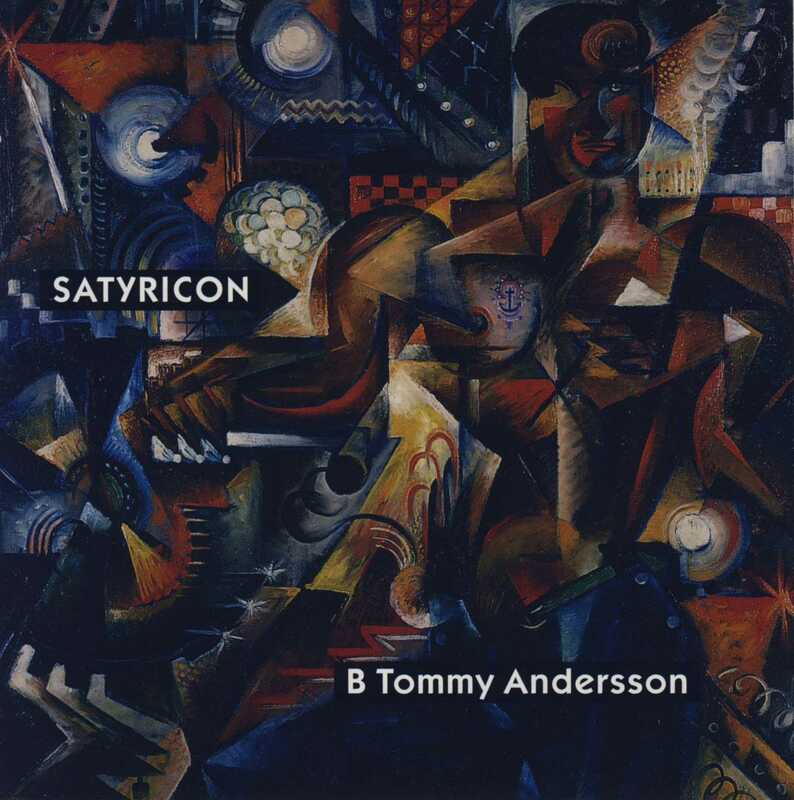 In January 2017, The Swedish Radio Symphony Orchestra played B Tommy Andersson’s Satyricon in two concerts in Berwaldhallen, Stockholm, conducted by Stefan Solyom. The rest of the programme: Felix Mendelssohn’s Violin Concerto (soloist: Hilary Hahn), and Igor Stravinsky’s Petrushka. The Concerto for Violin and Orchestra, Homage to Michelangelo, was finished the 22 August 2016. It is commissioned by Norrköping Symphony Orchestra, Sweden, and composed for the violinist Paul Waltman. The first performance will be on Thursday 11 May 2017, in De Geer Hall, Norrköping. Click here to read more about the piece. A new cycle of five songs for baritone (or mezzo-soprano) and piano was finished 24 January 2016. …..Everyone knows that Michelangelo Buonarroti (1475–1564) was one of the most famous sculptors and painters during the Italian renaissance. It is not as well known that he also wrote poems. 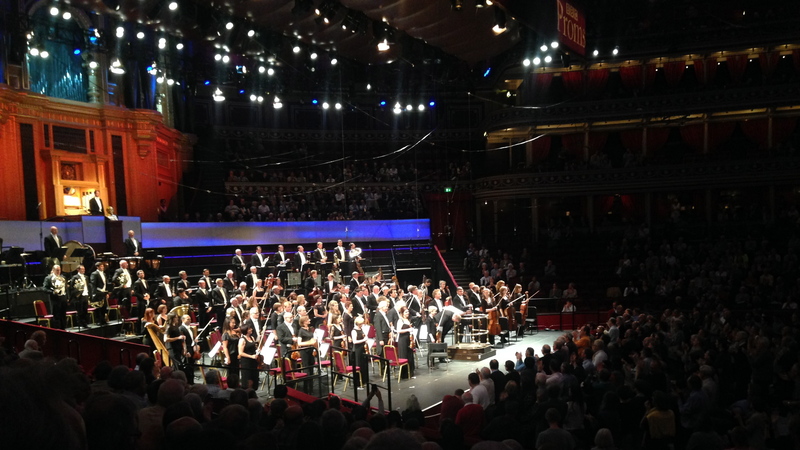 Success for Pan, premiered at the Proms, 3 September 2015! As a part of B Tommy Andersson having been Composer-in-Association at BBC National Orchestra of Wales, the orchestra (conducted by Thomas Søndergård) made the first performance of the new orchestral work Pan, a BBC commission, at a Prom concert in the Royal Albert Hall, on the 3rd of September 2015, at 6.30pm (Prom 64). The piece was very enthusiastically received by the audience. Here you will find some reviews of the piece. The same day, at 4.45pm–5.30pm, there was a Proms Extra at Royal College of Music in London, where B Tommy Andersson, in conversation with Andrew McGregor, discussed the world premiere of Pan and introduce performances of his chamber works. This was broadcast on BBC Radio 3 after the concert. This concerto, commissioned by Olof Boman for Glogerfestspillene (Gloger Music Festival) in Kongsberg, Norway, is inspired by church paintings of the Swedish late-medieval Painter, Pearl-embroiderer, and Organist Albertus Pictor (Albrekt the Painter, c. 1440–1509). It is composed for and dedicated to Hans-Ola Ericsson (Chair of Organ and Church Music, University Organist, Schulich School of Music/McGill University, Montreal, Canada). The first performance took place 22 January 2015, conducted by Peter Szilvay. BBC National Orchestra of Wales had its first concert with B Tommy Andersson as Composer-in-Association on Friday 3 October 2014, in St. David’s Hall in Cardiff. The music was very enthusiastically received by the audience. Here you will find excerpts from some reviews. B. Tommy Andersson’s orchestral work Death in Venice was nominated for Musikförläggarnas Pris 2014 (Swedish Music Publishers’ Prize 2014), in the category Årets Konstmusikpris, stor ensemble/opera (The Art Music Prize of the Year, large ensemble/opera). The other three nominees were: Benjamin Staern (Sånger om bländvit kärlek), Daniel Börtz (Sinfonia 12), and Tebogo Monnakgotla (Light Years Away – Supernova!). 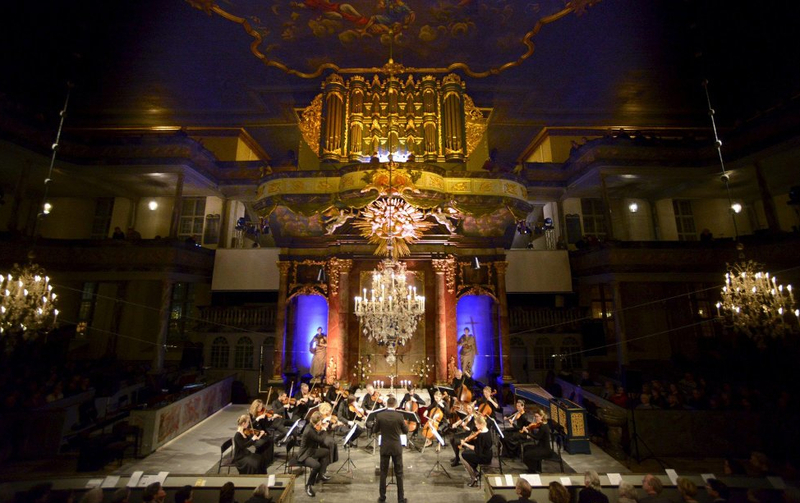 The winner was announced on Friday 7 November 2014, at Berns Salonger, Stockholm, and the prize was awarded to Daniel Börtz for his Sinfonia 12. On Friday 16 May 2014, B Tommy Andersson received the 2014 Scholarship for Composers [Tonsättarstipendium 2014] of SEK 40,000 from Musikföreningen i Stockholm, with following motivation: “For his rich contributions to the choral repertoire, from the delicate to the grandiose”. Musikföreningen i Stockholm (The Music Society in Stockholm) was founded in 1880 by composer and conductor Ludvig Norman (1831–1885), inspired by Musikverein in Vienna. Since 1936, they have awarded scholarships to 52 Swedish composers, among them: Hugo Alfvén, Hilding Rosenberg, Gösta Nystroem, Lars-Erik Larsson, Sven-David Sandström, Ingvar Lidholm, Karin Rehnqvist, Hans Gefors, Anders Hillborg, and Anders Eliasson. B Tommy Andersson was Composer-in-Association at BBC National Orchestra of Wales for the 2014—2015 season. During the concert season, the orchestra played two orchestral works of his at regular concerts in St David’s Hall in Cardiff. 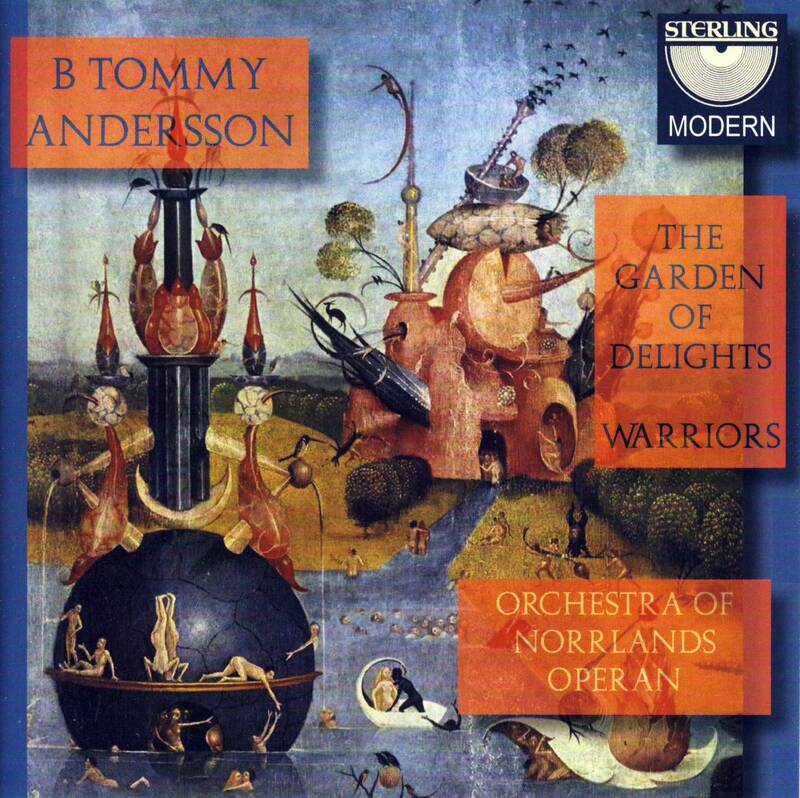 B Tommy Andersson’s The Garden of Delights (2009) will be the very first piece to be played in new the season, on 3 October 2014, followed by Richard Strauss’ Vier letzte Lieder and Jean Sibelius’ Symphony No. 1. In the last concert of the season in St David’s hall, on 5 June 2015, the orchestra will play Gustav Mahler’s Symphony No. 2, and the concert will be opened by B Tommy Andersson’s Satyricon (2000). Both these concerts are conducted by the principal conductor of the orchestra, Thomas Søndergård. There will also be a portrait concert in Hoddinott Hall, on the 25 February 2015, with music of Andersson conducted by Søndergård. Here the orchestral works Death in Venice (2013), Passacaglia (2008), and Warriors (2010) will be played, as well as Apollo (1995) — a concerto for percussion solo and orchestra — with the Swedish percussionist Markus Leoson as soloist. On 20 January 2015, B Tommy Andersson will conduct a concert with BBC NOW in Hoddinott Hall, Cardiff, with Swedish orchestral music only. The pieces that will be performed are: Hilding Rosenberg’s Dance Suite from Orpheus in Town, Ludvig Norman’s Concert Overture in E-flat, Ingvar Lidholm’s Kontakion, and, finally, Hugo Alfvén’s Symphony No. 4. The music is composed to a poem of Nobel Prize laureate Tomas Tranströmer. In this short and beautiful poem (From March 1979), the author tells how sick he is to hear words without a meaning, words without a language. He travels to a desolate, snowy island, where he sees a line of a deer-slots in the snow — a language without words. This work is commissioned by Malmö Pastorat (The Parish of Malmö) and my friend Carl Adam Landström, to whom the piece also is dedicated. It is composed for mixed chorus (S.A.T.B.) and a large symphonic (romantic) organ, preferably with three manuals, but it could also be played on a two manual instrument. The first performance took place in Sankt Petri Church, Malmö, Sweden, 19 January 2014. This orchestral work is a dirge for Wagner, 200 years after his birth and 130 years after his death. The first performance took place in Umeå, Sweden, 16 January 2014. The Orchestra of Norrlandsoperan, conducted by Rumon Gamba. This new choral work was completed 8 August 2012, commissioned by and dedicated to my dear friend, the outstanding choral conductor, professor Erik Westberg, for The Erik Westberg Vocal Ensemble. It is based on William Blake’s (1757—1827) two poems The Tyger (from Songs of Experience, 1794) and The Lamb (from Songs of Innocence, 1789). The music is written for mixed chorus (S.A.T.B.) and a large symphonic (romantic) organ, preferably with three manuals, but it could also be played on a two manual instrument. Erik Westberg also asked for an additional version for chorus and accordion, for a tour in Germany, autumn 2012. 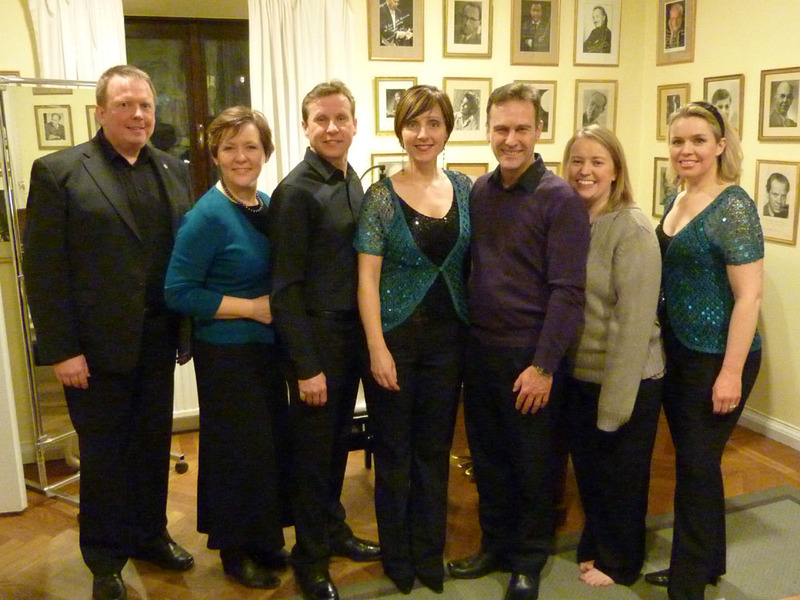 The first performance took place in the concert hall Studio Acusticum, Piteå, 5 October 2012. The Erik Westberg Vocal Ensemble, conducted by Erik Westberg. In May 2011, B. Tommy Andersson finished a reorchestration of W. A. Mozart’s opera Die Zauberflöte for an ensemble of 10 period instruments. The orchestration is carried out in the orchestration style of the 1790’s, and it makes a performance of the opera possible even in a small historical theatre, where the original orchestration is too large for the orchestral pit. The instrumentation is: 1 classical flute (doubling piccolo in Monostatos aria), 1 classical clarinet (in B-flat, C, and A), 2 natural horns (in C, D, E-flat, F, G, and high B-flat), 2 violins, 2 violas, 1 violoncello, 1 doublebass. In addition, a keyboard glockenspiel on stage. It was premiered at Confidencen (Ulriksdal Court Theatre) on the 20 July 2011 in a production by Per Arthur Segerström, conducted by Arnold Östman. The same production was played at Confidencen in August 2012. 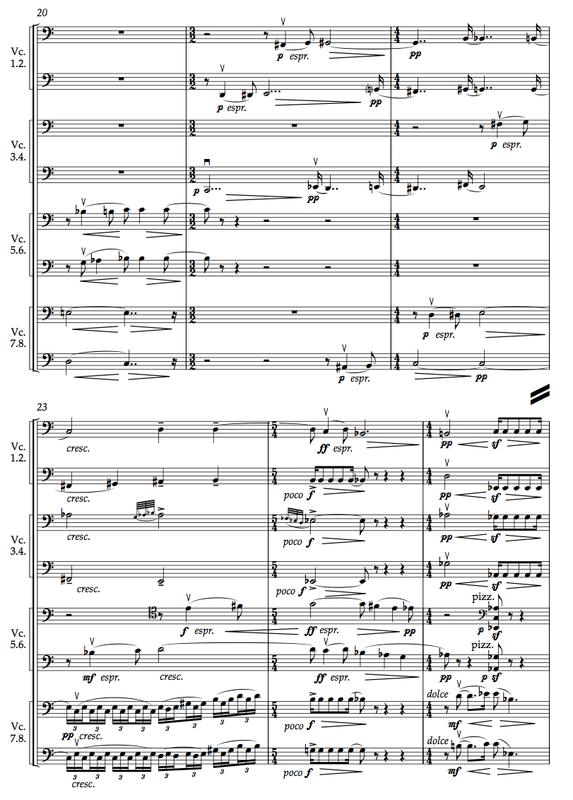 This new composition for cello ensemble was completed 5 May 2012, commissioned by and dedicated to my dear friends in the cello section of The Royal Stockholm Philharmonic Orchestra. The first performance took place Sunday 30 September 2012 at 3 p.m. in Stockholm Concert Hall (Grünewaldsalen). As mentioned above, the new CD (with The Garden of Delights and Warriors) has received top mark in the radio show CD-revyn in P2 (Swedish National Radio). Sterling Records has released a new CD with the two orchestral pieces The Garden of Delights and Warriors, played by the orchestra of NorrlandsOperan, conducted by the composer (CDM 3001-2). Toccata, Aria & Chaconne, a new piece for string orchestra by B. Tommy Andersson, commissioned by Styrsö Kammarmusikdagar (The Chamber Music Days of Styrsö) and financed by Kulturrådet (The Swedish Cultural Counsel), received its first performance by Styrsö Chamber Soloists, at Styrsö, Sunday 31 July 2011. The orchestral piece The Garden of Delights was performed by Helsingborg Symphony Orchestra, conducted by Stefan Solyom, 12 May 2011. “To be both a conductor and a composer is seemingly a perfect combination in order to get your music out to the audience. But historically, many critics have frowned at precisely this combination. Not when it comes to Richard Strauss, who in the eyes of his contemporaries mostly was considered a composer. But the situation was different for Gustav Mahler, who was accused of composing Kapellmeistermusik (”conductor’s music”, a belittling term). 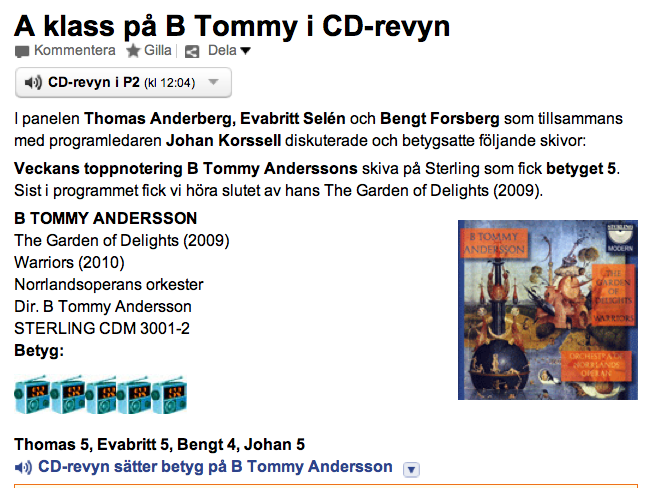 B Tommy Andersson seems to have found a good balance between his roles as interpreter and creator. Since his music is performed by other conductors, it has to stand on its own feet, which it does very well. Wednesday, 26 January 2011, 6 p.m.
Friday, 28 January 2011, 7.30 p.m.
Saturday, 29 January 2011, 3 p.m. 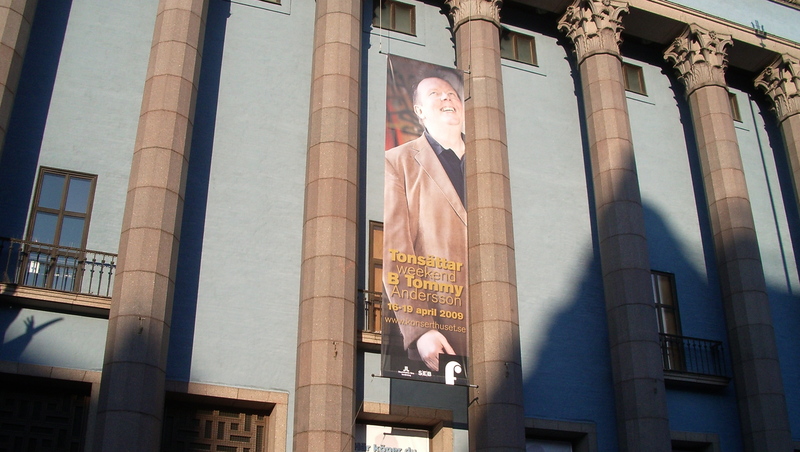 The photo shows B. Tommy Andersson and Synergy Vocals in Stockholm Concert Hall, 28 January 2011. 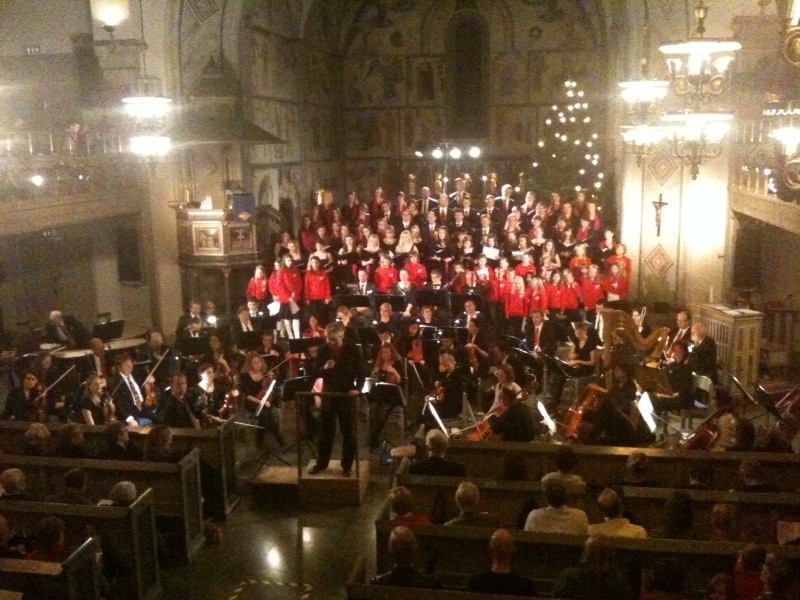 On Saturday 10 December 2011 and Sunday 11 December 2011, B. Tommy Andersson’s A Christmas Gloria was performed again in S:t Matteus Church, Stockholm, as a part of their annual Christmas concerts. The piece was commissioned by S:t Matteus Church and very successfully performed for the first time in 2009, in the same context. 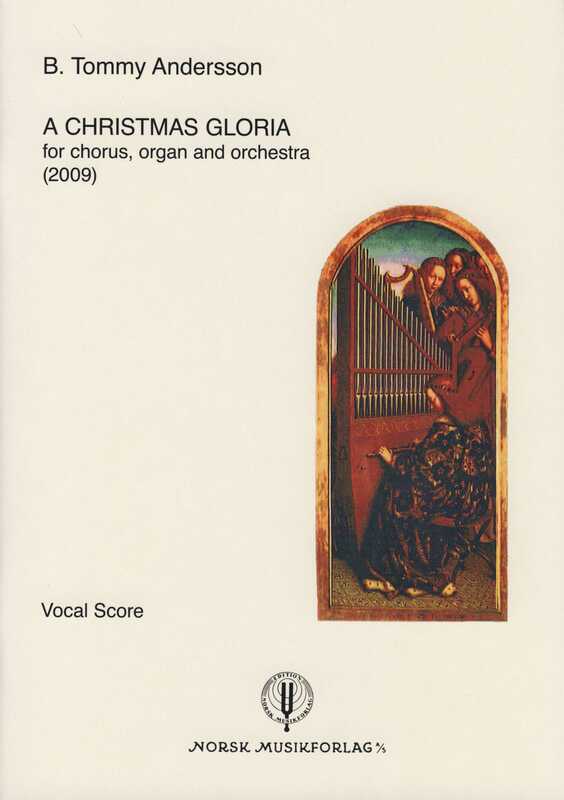 A Christmas Gloria is approximately 13 minutes long, and it is written for all the choruses of the church (children’s chorus, youth chorus and large mixed chorus), soloistic pipe organ, and orchestra. See Catalogue under The Composer for further details about the piece. On the third and fourth of December 2010, Warriors, a new piece of B. Tommy Andersson, was premiered at Norrlandsoperan in Umeå, Sweden. Both performances were sold out. It is a dance work, created together with internationally acclaimed choreographer Pontus Lidberg, creator of numerous choreographies and dance films, such as The Rain and Labyrinth Within. Warriors is commissioned by Norrlandsoperan. Warriors was praised by the press and it received standing ovations. Warriors is composed for orchestra (instrumentation: 2*.2*.2*.2* / 4.2.3.1 / timp, 2 perc, hp, cel / str) and has a duration of approximately 40 minutes. Choreography, stage design and costumes by Pontus Lidberg; light design by Patrik Bogårdh. Dancers: Gabrielle Lamb (USA), Oscar Salomonsson and Pontus Lidberg (Sweden), Adrian Danchig-Waring and Craig Hall (USA), Vu Van Nguyen and Cao Duc Toan (from Vietnam National Ballet Theatre). The work is inspired by the legend about The Sacred Band of Thebes, a troup of 300 picked soldiers, which formed the elite force of the Theban army in the 4th century B.C. This Theban Band consisted of 150 male couples, because it was believed that lovers could fight more fiercely than strangers. The inspiration for its formation came from Plato’s Symposion. They were organized by commander Gorgidas in 378 B.C. and after several amazing victories, they were finally defeated and killed in the battle of Chaeronea in 338 B.C., where they, although surrounded, refused to surrender. In about 300 B.C. the town of Thebes erected a stone lion at the burial site of The Sacred Band, which was restored in the 20th century and still stands today. Phono Suecia PSCD 178 (see Discography for details). It has received top mark in reviews in several newspapers, as well as in Swedish National Radio (CD-revyn). (see Press for details). Satyricon (orchestra), Passacaglia (orchestra), Reflections (soprano saxophone and orchestra), Apollo (percussion solo and orchestra), Concerto for Horn and Orchestra, Fyra Bilder (baritone/mezzo and piano), Antique (male voice and piano), Pieces for Pontus (piano solo), Sonnet XVIII (mixed chorus, a cappella), Kyssar vill jag dricka (mixed chorus, a cappella), Hjärtstilla (mixed chorus, a cappella), A Song of Joys (male chorus, solo voice and percussion), Nachts (male chorus, a cappella), Games for Giton (woodwind quintet), The Garden of Delights (orchestra), Pieces for Organ (eight pieces, written between 1982 and 2009; Prelude/Nocturne/Benedictus/Processional/ Adagio mesto/Fanfare/Elegy for an Angel/Variations on a Theme of Mozart), A Christmas Gloria (chorus, organ and orchestra), Warriors (orchestra), Bohèmiana (orchestra). See Catalogue under The Composer for further details about each work.